5. 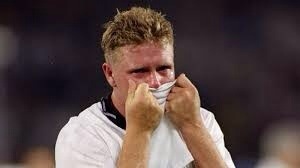 Paul Gascoigne is reduced to tears before England lose on penalties to Germany. World Cup Semi-Final, Italy, 1990. One of the earliest World Cup memories of my generation was undoubtedly the famous images of Paul Gascoigne reduced to tears following a booking in the semi-final of the World Cup against Germany. The booking of course, would have meant Gazza would have been ineligible for the final. Gazza was born in Dunston, a small area of Gateshead on the opposite side of the river from his boyhood club; Newcastle United. 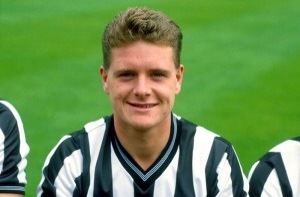 Gazza would sign for Newcastle as a schoolboy in 1980 and make his first team debut 5 years later against Queens Park Rangers. He would spend three years in the first team at St. James Park, picking up the PFA young player of the year award in the 1987-88 season and notching 21 times in 92 appearances for the magpies. By the time 1990 arrived, Paul Gascoigne had been playing in North London for the previous two seasons, impressing for Tottenham Hotspur. Having rejected a move to Manchester United (thanks to Spurs purchasing his family a house) he’d entered the World Cup as one of the most exciting prospects. Throughout the tournament, Gascoigne was in the thick of the action. He set up a Mark Wright winner in the group stages, took the free-kick for David Platt to score in the first knockout round then gave a penalty away against Cameroon in the quarter final, before setting up Gary Lineker to register then slotted home a penalty himself. England entered the game against West Germany having achieved their best performance on foreign soil in a World Cup thus far. Bobby Robson’s men had been unconvincing early in the tournament, but had grown in stature and shown grit and determination to move all obstacles before them. West Germany though, coached by World Cup winning player Franz Beckenbauer and led on the field by talisman Lothar Matthaus, would be no easy opponent. The game itself, was a tight affair. A goalless contest, was brought into action in the 59th minute when Andres Brehme’s deflected free kick looped over Peter Shilton in the England goal; 1-0 West Germany. With ten minutes remaining, Paul Parker floated a ball into the West German area, confusion ensued and Gary Lineker was there to pounce with the equaliser. Extra time was to be required and drama was soon to unfold. 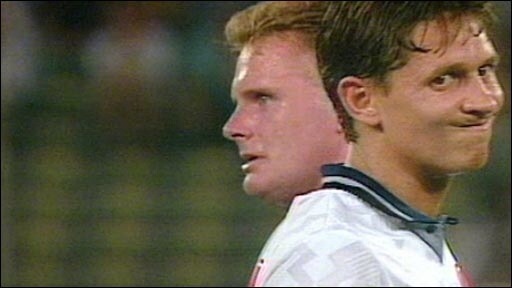 Little did anyone know that the Famous images of Gary Lineker turning to Bobby Robson, asking his manager to have a word with Gazza would be regularly used for a variety of highlight clips; everyone knew the card would mean no Gazza in the final, but regardless, England still had a game to contest. The card however, had a devastating effect on Gazza. 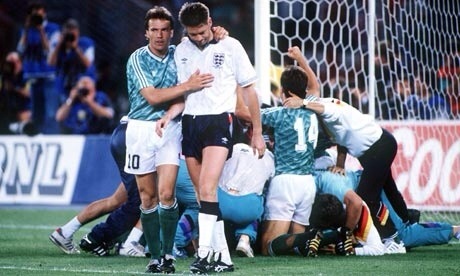 Forcing his withdrawal from the subsequent penalty shoutout after extra time couldn’t decide the contest, Chris Waddle would step up in his place – fatefully. With penalties due, England and West Germany traded blows evenly up to 3-3 and up stepped Stuart Pearce. The Englishman hit his penalty straight down the middle, only for it to be saved by the legs of keeper Bodo Ilgner. West Germany then edged ahead 4-3 thanks to Olaf Thon and next up, England’s Chris Waddle – Gazza’s replacement – stepped up. Waddle, left footed, ran up to his penalty and blasted it…over the bar. England were sadly out. A sad ending to what has become known as one of the greatest campaigns in English football history. The game is still used as a reference for England, whenever a major tournament arrives. It still, to this day, remains England’s best performance on foreign soil in a major tournament. But it will be forever remembered for the moment England came so close to another World Cup final, but for the finest of details and a penalty shoutout, they left another foreign quest empty handed. 8 years earlier, Zinedine Zidane was the king of the world, as his startling performance under the lights of Paris helped France to the World Cup title for the first time in their history. But in 2006, ‘Zizou’, after once again guiding France to a World Cup final, was about to go down in history for the wrong reasons. Raymond Domenech, the France manager, was understandably ecstatic as Zidane wasn’t alone in his return; he was joined by Lillian Thuram and Claude Makélélé. The trio gave the nation an urgently needed boost coinciding with a stuttering World Cup qualification campaign which had seen Domenech slaughtered in some circles in France. France had suffered goalless home draws against Israel, Ireland and Switzerland and with only four games left to go, trailed Ireland by three points in their qualification group. The return of the three boosted France considerably; the remaining four fixtures resulted in a return of 10 points, French qualification and a nation breathing a huge sigh of relief. Before the tournament, Zidane had another statement to make. This year would be his last. “I have to listen to my body and I cannot carry on for another year. I think it is better to clarify the situation now. I have been thinking about it for a long time. It’s been three years since we [Madrid] won anything and in two of those, I’ve not played as I’ve wanted. I am not going to play any better than I have done in the past. I don’t want to just play for Real Madrid for the sake of it”, he clarified. The group stage offered little in the way of a reprieve from the qualification’s poor early form. While other nations qualified for the knockout stages with ease, France stumbled to two draws in their first two games. In the second game against South Korea, Zidane was substituted following a subdued display behind Henry. The World Cup legend, three time FIFA player of the year, looked a shadow of his former self. In the final game against Togo, France comfortably beat their lesser opponents, albeit without Zidane who’s two yellow cards had seen him suspended for the fixture. The last 16 game saw an encounter with neighbours Spain, who’d shown glimpses of the promise that would clinch the next two European Championships and the World Cup in between four years later. 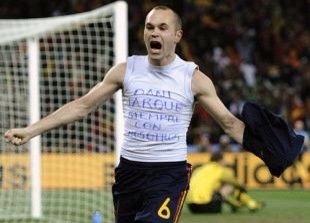 Many people had thought Spain would finally live up to their promise, especially with the shaky French form. But Zidane had other plans. With 7 minutes remaining, the talisman stepped up and delivered a pinpoint free kick into the box for Patrick Vieira to nod home. France had one hand on the quarter final. As Spain pressed for an equaliser, Zidane picked the ball up and drifted into Spain territory in injury time, cut inside Carlos Puyol and fired the ball between Spanish goalkeeper Iker Casillas and his near post to take France through; where the following round would see a rematch of the final of World Cup 98. The match saw Zidane control things from the off. Cutting his way through yellow shirts, delivering the free kick to the vulnerable Brazilian far post on 56 minutes, playing keep-up with the ball whilst holding off Kaka and controlling and caressing the ball around the pitch; a standard night for one of the greatest players of his generation. The semi-final pitted Les Bleus against a Portuguese side, baying for revenge after a 2-1 defeat at the same stage in Euro 2000. Thierry Henry, with the game poised at 1-1, showed no hesitation in hitting the ground following a challenge from Ricardo Carvalho. Zizou stepped up and slotted the ball past England’s nemesis Ricardo in the Portuguese goal to take France through 2-1. From retirement two years previously, returning & rescuing his nation’s fortunes during qualifying and now guiding his nation past the world’s best, Zidane was hitting key form at just the right time. The final was set to be a classic against historic rivals Italy. Strange to think that many had ran polls and debated whether Zidane should even be in the France starting XI following the group stages. A tense affair, had gone to extra time following a sublime chipped penalty by Zidane and an equaliser from Marco Materazzi; those two hasn’t made their only contributions of the night however. As the match approached penalties, pandemonium ensued. Off camera, something had happened. Gianluigi Buffon raced from the Italian goal to the officials pointing and gesturing towards the melee that had erupted behind him. 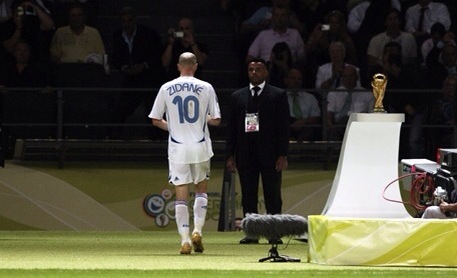 Materazzi was rolling around on the floor, Zidane had walked in the opposite direction looking cool, calm and unnerved. It seems nobody saw the incident other than a handful on the Berlin turf. Following a brief chat to his assistants, the referee approached Zidane and brandished a red card – the greatest player in French football’s modern era had ended his career in the worst possible light. Despite his protests and claiming provocation, Zidane was on his way. All of the elegance and grace that had captivated the world when Zidane was given the ball had disappeared and for some reason he snapped; Italy went onto win the tournament on penalties. David Trezeguet, the golden goal hero of Euro 2000 when Italy were defeated in the final, became the sole player to miss his penalty allowing Italy to triumph 5-3. Marco Materazzi is sent tumbling to the turf as Zidane erupts. 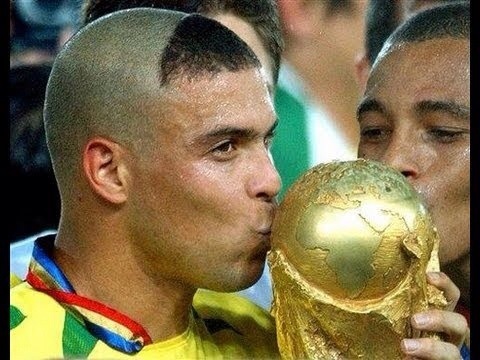 Following on from the Brazilian anguish of 1998, in 2002 the world was once again focused on Ronaldo Luis Nazario de Lima the man they call Ronaldo. For Ronaldo, the journey to this moment began four years previously in France, on the day of the World Cup final. Ronaldo’s nightmare of four years previously had dominated the news for the remainder of that summer. But things weren’t about to get easy for the man dubbed “the phenomenon”. Brazil had suffered its worst defeat in a proud pedigree of 68 years old World Cup history. The favelas were shaken. Proud, colourful, partying cities were subdued. The public wanted answers. The Brazilian national congress was to expose the most chilling and riveting cross-examination of a World Cup finalist that could possibly be imagined. In the weeks following the final (see defining moment #9) France celebrated. Brazil investigated. The big day had arrived with little fuss, the final was evenly poised. Brazil, historically the world cup’s most famous competitors, lined up against the solid hosts who’d found ways to win all the way to the final. Just outside of Paris, the Brazilian squad dined at lunchtime at the Chateau de Grande Romaine in Lésigny. The squad retired back to their hotel rooms in pairs, which saw Ronaldo sharing with Roberto Carlos. Suddenly, Ronaldo began shaking uncontrollably and frothing at the mouth. The Brazil left back ran through the hotel punching doors trying to alert anyone he could get the attention of, one of those was Edmundo who was rooming next door. He held the uncontrollable Ronaldo down whilst teammate Cesar Sampaio administered first aid and prevented Ronaldo from swallowing his tongue. Details of all these happenings were read out in congress by Edmundo. Following his episode, Ronaldo slept for the whole afternoon. The squad, according to Edmundo, rested but were subdued and worried. When Ronaldo woke, he joined the rest of the squad for tea. 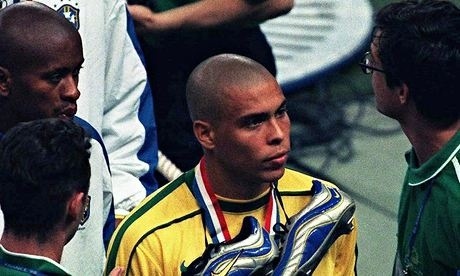 A distressed Leonardo, insisted Ronaldo be told of the episode. While the rest of the squad travelled to the Stade de France, Ronaldo went for tests at the Lilac clinic in Paris. He was given the all clear to play and joined the rest of the squad later, insisting that he do just that and don the famous yellow jersey. The pre-match confusion of his selection became clearer. During the investigation, someone had penned a ready made scapegoat: Nike. The clothing manufacturer had signed a £105m deal with the Brazilian Football Federation two years before the tournament. Were Nike to blame? Was pressure from commercial interests forcing Brazil to select a clearly unfit Ronaldo? 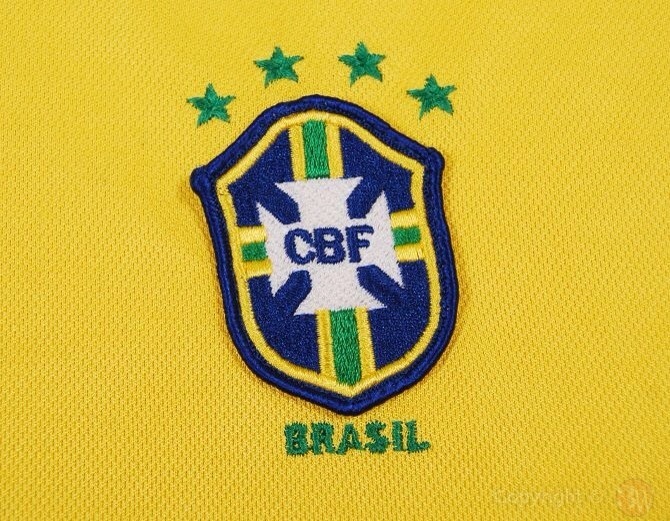 The Brazilian inquiry became focused on whether there was wrongdoing in the partnership which resulted in the devastating team selection error. Ronaldo eventually testified, although not many details were revealed. On the pitch, Ronaldo had moved to Inter Milan the year previous to France 98. He’d impressed in his first season, winning the UEFA Cup by scoring the winning goal in a 3-0 victory over Serie A rivals Lazio. 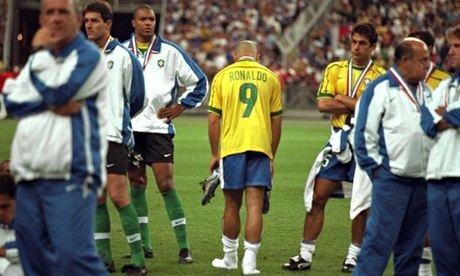 But during the 1999 season, Ronaldo suffered a serious knee injury which was to sideline the Brazilian for months. His return in April 2000 lasted only minutes before a recurrence forced him to leave the field and it was evident further survey was required. Ronaldo would miss the entire 2000-2001 season and the majority of each season either side of it due to his knee requiring 2 operations and lengthy rehabilitation. Hardly ideal preparation with the World Cup less than a season away. When the tournament arrived, Ronaldo began in blistering form. Brazil stormed through their group, winning all three games with R9 registering in each encounter. Sweeping aside Belgium in the next round, followed by England in the quarter finals (thanks to a memorable free kick from Ronaldinho lobbing David Seaman) Brazil faced group stage opponents Turkey once again, where a nail biting encounter was settled from a solitary goal from Ronaldo in the second half, leading the Brazilians to another place in the world’s greatest showpiece. Germany had carved their path to the final in more difficult circumstances; relying on three consecutive 1-0 successes to stake their place in the mouth watering clash. 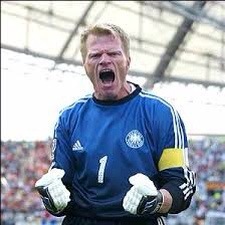 After winning their group, tight knockout matches were marginally edged by the Germans thanks to a superb tournament from goalkeeper Oliver Kahn. With the lineup confirmed and the world’s attention focused, Brazil aimed to banish their woes from the previous tournament against one of the tournament’s most solid and organised sides. Rejuvenated under Rudi Voeller, the Germans had conceded only 1 goal on their way to the final; an 88th minute Robbie Keane equaliser in the second group game. The final arrived with little drama, certainly far less than the previous tournament. The match itself had a build up story in its own right thanks to events from four years previously, the main talking points of the game were dwarfed into sideshow status. Nobody seemed to care if Germany could stifle Brazil’s creative spark, the worldwide audience were obsessed with the fairy tale possibility of Ronaldo and Brazil burying their nightmarish memories of France 98. The first hour was a tense affair, Germany indeed did stifle Brazil and hit the post thanks to a Neuville free kick brilliantly saved by Marcos in the Brazilian goal. Brazil came close too, with a curling Kleberson effort hitting the crossbar just before half time. The Germans did not live up to the prematch billing of parking the bus, but took the game to Brazil and maintained possession well. After 67 minutes, Rivaldo hit a long range shot at Oliver Kahn and in what should have been a routine save, the German keeper fumbled his strike, allowing Ronaldo to pounce and bury the ball into the net to give Brazil the lead. Twelve minutes later, Brazil attacked again. Rivaldo’s dummy allowed Ronaldo to retrieve possession and beat Kahn with a well placed side foot shot. The game was over. Brazil had shattered all sour memories from the previous final and were on their way to claiming their fifth World Cup. As Ronaldo was substituted, he was visibly emotional. He’d scored in every game with the exception of the England duel and was a unanimous choice for the player of the tournament. For neutrals, there was a sense of joy for the Brazilian who’d hit peak form throughout the tournament and had now scored 8 goals, granting him the status as the top scorer. The fairy tale was complete and after the horror of Paris, the world had now witnessed the closing of an unfinished chapter in World Cup history, the question of whether Ronaldo and Brazil could deliver on the world stage the next tournament after their horror show had been memorably answered. Continuing the countdown of ten defining World Cup moments, we look at the final of France 98. Where admittedly this is more of a collection of moments, in what was to become a memorable tournament for many reasons. July 1, 1992. The venue Zurich, Switzerland. The FIFA executive committee are meeting to decide the hosting for the 1998 World Cup. Meanwhile, Erasure topped the UK charts, the G7 summit was taking place in Munich and American Andre Agassi was on his way to clinching his first grand slam title at Wimbledon. Rewinding back in time, France had been perennial underachievers on the world stage for a number of decades. Despite prodigious talents in the 1980s such as Michel Platini, Jean Tigana and Jean-Pierre Papin the french had failed to win the World Cup, but had finally added a major tournament in the form of the European Championship; hosted by the thrilled nation in 1984. As the country basked in the summer sun, the carré magique (magic square) of Luis Fernández, Jean Tigana, Alain Giresse, and Michel Platini were sublime and gained the reputation of the world’s greatest midfield. Platini helped himself to a record 9 goals in 5 games and France collected the trophy with a 2-0 win over Spain in the final in front of a packed Parc des Princes in Paris. 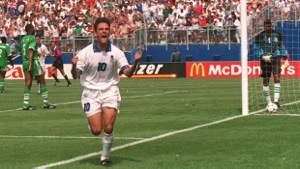 Jumping back to the summer of 1992, the delegation voted in favour of les bleus 12-7 during the first round of balloting. The World Cup was to be held in France for the first time since 1938 and thanks to the European triumph a decade earlier, inevitable thoughts of hosting a successful campaign were already emerging. Many people aren’t aware France had played a monumental role in establishing a world football tournament in the early parts of the twentieth century. Following the success of the first Olympic football tournaments, FIFA’s wish for a tournament intensified and questionnaires were sent to affiliated nations to gauge interest. The French affair with World Cup history had begun; FIFA president Jules Rimet (whom the trophy would later be named after) was French and he was ably assisted in his quest by the president of the French FA Henri Delaunay. In 1930, FIFA established the first tournament in Uruguay, the double Olympic champions and who were celebrating 100 years of independence the very same year. The World Cup was born. 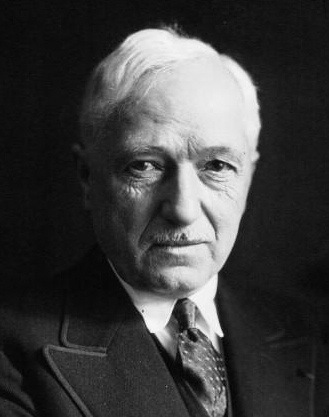 Jules Rimet FIFA president during the birth of the World Cup. Shortly after the announcement of the successful World Cup bid by France, Michel Platini resigned as national team manager and would play an instrumental role in the World Cup organisation process. “This award is the crowning glory of three years of work,” said Fernand Sastre, chief organizer of the French bid. “It’s a great day for French football, a great joy.” France of course, didn’t have to endure qualification as a result of being host. The planning was to commence, the World Cup 1994 would take place in the USA in two years, then, either side of an exciting Euro 1996 tournament in England, the world’s footballing eyes would fall on the French; in their own eyes the World Cup was coming home. World Cup 1998 is regarded by many people I meet in England as their “first proper World Cup”. Not sure why this is the case, or even what they mean by that phrase (maybe reading this you understand it) but for me it’s thanks to the excellent coverage by both the BBC and ITV, multiple highlights available and of course a friendly time zone for us budding fans here in the UK. The whole 1998 experience seemed engrossing and exciting. It was also the tournament where a number of European based players of the time would cement their status as world class. The tournament started with champions Brazil meeting Scotland. In a tighter encounter than many anticipated Brazil prevailed 2-1 and subsequently finished top of their group despite a final game defeat to Norway. France topped their group in scintillating form, winning all three games scoring 9 goals and conceding 1. During the knockout phases, Brazil defeated Chile, Denmark and The Netherlands on penalties to make the final and France saw off Paraguay in extra time, Italy on penalties and Croatia to book a home date against the world champions. The scene was set, could the world have asked for a better final…the holders against the hosts? Could of been better for some of us as we know…but we’ll get to that later in the series. Casting our minds back to the start of the tournament, the undoubted players to watch from both teams were Ronaldo from Brazil, who as a 17 year old had been an unused squad player 4 years previously in Brazil’s triumph and Zinedine Zidane, the French talisman who’d began to earn a reputation as one of the world’s finest midfielders. Ronaldo had been in fantastic form, scoring 4 goals on the way to the final and Zidane, despite a suspension for a red card earned in the group stages, had played a big part in France’s progression. The night was set, but before the game something was to happen, one of the most defining moments of the entire tournament and World Cup history. One that would send shock waves not only through the Brazilian squad, but through the world. In the aftermath of the confusion reports began to circulate that Ronaldo had suffered a convulsive fit. It was clear from the onset of the game that he was not the same player. Brazil as a consequence of the events lacked the flair, intensity and creativity that was so evident in their previous games. The squad was a shadow of its former self. Ronaldo was nowhere near his best and Brazil suffered a devastating 90 minutes in Paris. France took the lead thanks to a Zinedine Zidane header just before the half hour mark and the French star added a second in first half stoppage time. Brazil were delivered a knockout below which they were unable to recover from. Ronaldo failed to convert a chance in the second half, firing a shot straight at Fabian Barthez. Emmanuel Petit wrapped the game up in the 90th minute when he slotted home a goal on the break and France were crowned world champions for the first time. Jules Rimet, Henri Delaunay, Just Fontaine, Michel Platini, Euro 1984, July 1st 1992. The fairytale was complete. Decades of waiting, striving, working towards the ultimate goal, France were finally champions of the tournament they were so instrumental in initiating. So fitting that the nation could witness the culmination of the ultimate footballing story. A team had united a multi-racial nation and an estimated one million people lined the Champs Élysées to celebrate. 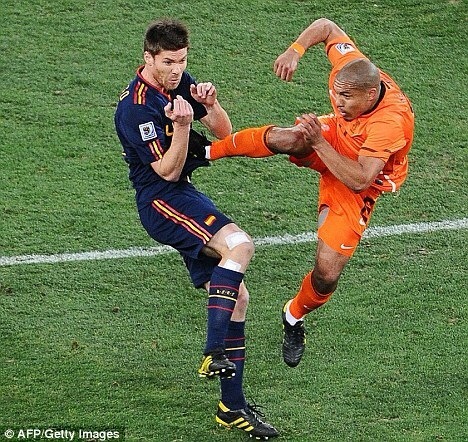 With the World Cup approaching, in no particular order I will be writing about the ten most memorable moments from World Cup history in my lifetime over the next few weeks. To start us off, one of the most controversial…. Although I was too young to remember this, it can’t be excluded due to the sheer controversy surrounding it. 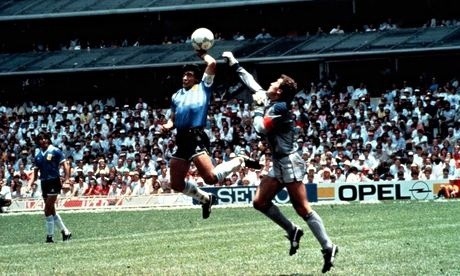 Every time England and Argentina meet, memories of this incident (dubbed ‘The Hand of God Goal’ thanks to Maradona’s post match claim) come flooding back. Maradona had already begun making a name for himself in world football by this stage of his career. His technical ability was beyond doubt and his stocky, yet extremely agile physique, glided past defender after defender when scoring his trademark solo goals with his famously accurate left foot. The goals had flown for Argentina and Napoli; who had signed Maradona for a then world record fee of £6.9m rescuing him from his difficult tenure in Barcelona. The rivalry between the two nations could be traced back to the 1966 World Cup quarter final in which England won a controversial, heated affair 1-0. German referee Rudolf Kreitlein sent off Argentine captain Antonio Rattin who accused the referee of being biased towards a fellow European nation. Following the game, England manager Sir Alf Ramsey branded the Argentinians animals and ordered his players not to swap shirts with their defeated opponents. 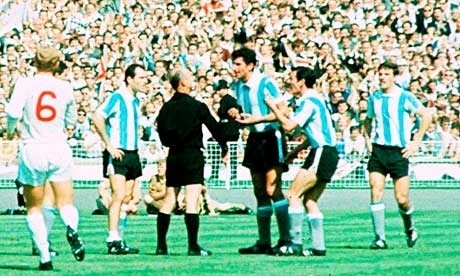 Argentinian Captain Antonio Rattin is sent off in a high tempered match by referee Rudolf Kreitlein. Shilton in despair, 10 white shirts in shock, the referee was surrounded, but all to no avail…the goal stood. In the Northern Hemisphere, a nation was cheated. In the Southern Hemisphere, a legend was born and an imperialistic enemy had been smash & grab raided in front of millions. In a career which intertwined sheer controversy with sheer brilliance, it was only fitting a game of this magnitude would see both sides of this exceptionally talented Jekyll & Hyde-like player unfold dramatically. Following the controversy of ‘la mano de Dios’, Maradona produced something sublime, spectacular and unforgettable only moments later to further rub salt into England wounds. Maradona picked the ball up 10m inside his own half before embarking on one of the most unforgettable dashes in World Cup history. Skipping past 4 England players, before reaching the final hurdle in his way in the form of Peter Shilton, Maradona paused, before dribbling the ball around the England number 1 and tapping it into the net. The hand of god goal ultimately created a star in Argentina, this goal created an icon and put his team into an unassailable 2-0 lead. A Gary Lineker goal, attacking substitutions and a late effort from Bobby Robson’s men were not enough; Argentina moved into the semi final. The aftermath was as expected, controversial. Maradona supplied infamous quotes about revenge and hand of god and Bobby Robson claimed Maradona scored with “the hand of a rascal”. Meanwhile, a statue of Maradona was being planned to be erected outside the Estadio Azteca which hosted the game. Many years later, Argentinian Roberto Perfumo claimed “In 1986, winning that game against England was enough. Winning the World Cup was secondary for us. Beating England was our real aim”. Argentina went on to win the World Cup, beating West Germany in a tense affair 3-2 and Maradona was crowned the player of the tournament and England’s Gary Linker collected the golden shoe trophy for the tournament’s highest goal scorer netting 6 times. Maradona went on to play a key role in the greatest period in the history of Napoli winning the Serie A title twice in the following 4 years along with the UEFA cup and the Coppa Italia. A repeat of the World Cup final would take place 4 years later where it would be the turn of the West Germans to prevail. Maradona was a shadow of his former self, succumbing to the off the field problems that had worsened over the previous few years and failing to have the impact he had on the previous tournament. A subsequent appearance 4 years later would see Maradona sent home in disgrace from World Cup 1994 in the USA for failing a doping test. These subsequent appearances did little to detract from his 1986 performances however, where in the eyes of many, especially in Argentina, Maradona would cement his place as the greatest footballer that ever lived. 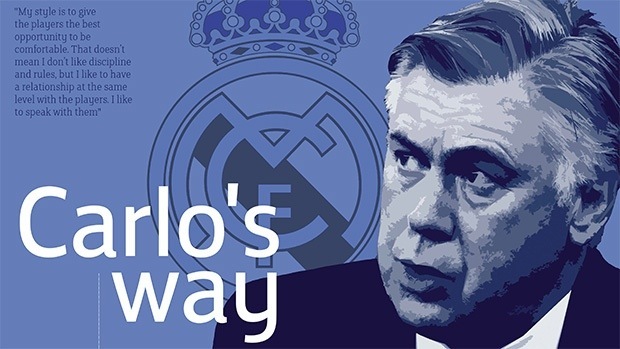 FA interview with Real Madrid manager Carlo Ancelotti. The full interview is available in the FA Boot Room magazine for April. Real Madrid head coach, Carlo Ancelotti, has urged aspiring English coaches and managers to study the intricacies of the management profession if they want to have a successful career in the industry. The former Chelsea and Paris St Germain boss recorded an exclusive interview for the 21 candidates on this year’s FA UEFA Pro Licence course insisting the transition from pitch to the technical area must be thoroughly prepared for. The 54 year-old Italian, whose glittering coaching CV also includes spells at Parma, Juventus and AC Milan, stressed the importance of his own period of study as one of the reasons for his longevity in the coaching profession. “The stage that I had in Italy doing my coaching licence was really good – to learn about physical preparation, to learn about tactics. “Also, the last year that I played in AC Milan I had the opportunity to be the assistant manager of Arrigo Sacchi in the national team. I could have continued to play but I preferred to stop because I thought the experience with Sacchi was really good for me. The Real Madrid supremo, whose side are chasing a domestic double and progressed into the Champions League Semi-Finals last week, also warned aspiring coaches not to be too rigid in their thinking early in their management career. “When I was at Parma I had the opportunity to buy Roberto Baggio who liked to play as an offensive midfielder behind the striker. I said to him ‘I want you to play striker because I don’t want to change the system’. It was a mistake because Baggio was a great player and I needed to find a position for him. Understanding different personalities is a core principle in the Italian’s coaching methodology and Madrid’s affable coach believes that developing this understanding is a result of spending time on the training pitch speaking and engaging with the players as individuals.